In some cases with the last features there is a lack of documentation and here is where some companies will tried to tied you to their support contracts. Be careful with the integration of hypervisor (try to avoid propietary solutions or review support contracts before vendor locking) and the storage solution you will be using, try to planned a Software defined storage to be ready for better integrations/upgrades, and for networking you should setup a SDN solution. Integration of multiple cloud in different locations across the world, with multiple hypervisors (VMWare, XEN, KVM, Hyper-V) and one dashboard for the final user. "Nice cloud management platform "
It is an open source programming which is incredible, and after some time it has included loads of enormous highlights like database as administration or it arrange management.The execution and the size of OpenStack is colossal. OpenStack wows with its locale support, and gigantic sponsorship from goliath associations. At first form it has a few crashes generally , yet in late form heaps of bugs have been resolved, yet I figure its UI can be planned better. Investigate Openstack on the off chance that you are investigating adding to a huge open source Python venture as well as in the event that you are keen on the field of distributed computing. Ensure you attempt it on a demo framework and endeavor to introduce it. Try not to accept it will be anything but difficult to utilize. It takes some training and work to utilize it. Take a class, go to some meetups, ensure you comprehend what you are getting into. I actualized the openstack as their IAAS works great, and I likewise attempted it for cloud HPC with works truly well. utilizing OpenStack to setup advancement condition for all our team.We likewise use it to have benefits little etherpad, irc bouncer, nagios and others. Be that as it may, basically openstack is the cloud we use to give process assets to our CI framework. OpenStack offers a great feature set with limitless possibilities. The amount of control users have over their compute infrastructure makes the user base incredibly happy, and the admin utilities make it easy to let users control their own destinies without creating a support nightmare for OpenStack administrators. Upgrades have proven to occasionally be complex and error-prone, with unexpected and prolonged outages that are time-consuming. While the vendors work hard to work with you while resolving issues, the frequency of occurrence may frustrate some, especially if they do not have a test environment to use prior to prod rollouts. If you want a solution which will make your users happy without letting the support costs overbear on you, OpenStack is likely your answer. The amount of control the end user has, while still keeping within your guidelines, will make enterprise cloud deployments much easier than many other off the shelf products. The level of control of flavors (CPU, RAM, disk, etc), operating systems, total consumption of resources, network and security groupings, the APIs available across a variety of programming languages and frameworks, and the many community forums supporting OpenStack offer a lot of comfort to those that feel out of their depth when getting ready to implement a cloud solution. Done correctly, a setup will empower your users while leaving enough control in your hands to handle any compliance requests from your security teams. Managed compute infrastructure with flexibility within set guidelines. User control to size VMs, manage infrastructure via APIs, and automate deployment, setup, and teardown. "The best solution for public, private or hyrid cloud." The performance and the scale of OpenStack is tremendous. Though not as good as some of the private and commercial offerings (read Amazon Web Services), OpenStack wows with its community support, and huge backing from giant organizations. Though the community is trying to stay focussed and work towards making the software more reliable and improve performance, companies with commercial interests are mostly pushing for their own end goals which may not align very well with the actual goal of the community. OpenStack is an amazing technology to switch to if you have the resources to use and maintain it. Is cost effective on a large scale. For smaller use cases, third-party cloud providers are the way to go. We are using OpenStack to maintain and manage our own hybrid cloud. Given the nature of its decentralized architecture, maintaining this product is a breeze if you have a sufficiently big team. "Do it yourself (albeit you can always ask) Cloud"
I found that the community very active, with a plethora of documentation and forums often had quick responses. I also found that many of my issues were covered by the numerous blogs. Find a good class, like Mirantis, Red Hat, etc.. it will save many man-hours of frustration; in terms of business logic the tuition-to-(time of salary) cost is well worth it. Plus it will steer you in the right direction; I had been on my own for a long time before taking the course, and it filled in all the gaps in my fragmented understanding. I've been investigating methods for orchestrating the under laying platform requirements to run our custom solutions. "Best open source cloud solution "
First, it is a open source software which is great, over time it is adding lots of big features like database as service or it network management. it has a great support for different hypervisor and it's networking after nova is really good I can help to meet lots of requirement in a real scenario. At first version it has some crashes mostly nova-compute , but in recent version lots of bugs have solved, but I think its UI can be designed better. I worked for a Internet web hosting company and I implemented the openstack as their IAAS works really good, and I also tried it for cloud HPC with works really well. What I value the most at OpenStack is the OpenSource community support that comes up in many ways. Firstly, it easy to find an OpenStack installation designated for platform of your choice (we used RDO for a RedHat installation). Secondly, there is a thriving discussion list were you can easily find help about almost everything. Lastly, there is a wide variety of plugins, thrid part projects that may potentially help meeting your business goals. For instance, we used Sahara to easily deploy Hadoop clusters. Thus, we didn't need to focus at all at cluster provisioning - we used use already existing tools which is great about OpenStack. I reckon that OpenStack may be a difficult to start with (I'm talking about production ready deployment, not a development one). It's modular architecture is flexible but it may be difficult to find out what is going on. For instance, you have to repeat configuration across components, keep them in sync. Besides, OpenStack touches some advanced technologies such as network or compute virtualization so it requires a vast knowledge to setup and maintain it. It is clearly a leading OpenSource IaaS platform (just take a look at its community and supporting companies). However, it requires an expertise in advanced topic (virtualization in its all aspects: compute, network, storage). Hence, it may be a difficult to start with but it certainly pays off. We were developing a BDaaS platform (Big Data as a Service) on top of IaaS platform in order to provide a flexible way to execute user job on demand. Vital advantage of OpenStack is availability of Sahara plugin that was a foundation for our later work. "It's awesome but it isn't easy"
First of all, Openness: It's a free and open source project, if it doesn't contain that awesome feature you wish so much, you have the opportunity to contribute to get it on the project. The community behind it is composed mostly by developers of the hundred cloud companies that support and make use of the project. That means a huge base of users under several vendor's cloud around the world, bringing some reliability to the project. The community cares about avoiding vendor lock-in and thus there are initiatives to assure vendor's openstack cloud compatibility with OpenStack's. Also, quality assurance (QA) *really* matters in OpenStack. You'll see unit, functional and integration tests, besides a rigorous code review process on every change proposed for every project. Of course it's not bug free, nothing is IMHO but I feel like its community is a huge example of how QA should be done. It's an abstraction layer to manage all the different services necessary to get a cloud environment up and running, thus you can chose which hypervisor, storage and network kind you want to use (which means that your knowledge on your current infrastructure will be useful using OpenStack as well). Finally the fast growing ecosystem around it, thanks to the big tent initiative, will provide most of all the services and tooling you may need to deploy or offer a robust cloud environment. Docs are far from ideal, in quantity and quality, OpenStack is huge and things change way to fast and thus sometimes documentation doesn't help you to explore the latest or best of OpenStack. To deploy openstack isn't a easy task, every single project has a ton of options, and of course it's hard to keep puppet/chef/ansible/some-other-tool sync'ed with the volume of new features every release. So several people I talk to think OpenStack may be the solution of their problems. You need to evaluate cautiously if that is *really* the correct solution. Maybe you just want to manage your guests, or containers locally, in which case OpenStack isn't the better choice (the overhead installing and maintaining it will not be worthy). OpenStack is something aiming to offer enterprise class set of services integrated and well tested, so sometimes it will be overkill to some smaller tasks, you need to consider the trade off. I'm a software developer and current we OpenStack to setup development environment for all our team.We also use it to host services small etherpad, irc bouncer, nagios and others. But mainly openstack is the cloud we use to provide compute resources to our CI system. "HPE OpenStack Developer (Freezer Team Core Developer)"
OpenStack is truly opensource project and everyone can use it or change whatever he wants. For developers it means that you always can know what is under the hood. For companies it means possibility to try OpenStack or use it without expenses on licenses. OpenStack has modular architecture that allows you to select a set of services that you need or create and integrate your own service (For example your own billing or integration with services of your company). OpenStack is fast-paced project that evolve continuously, every new release brings new services and new features. I like the community behind OpenStack. If you want to be OpenStack contributor, it is really easy. From my point of view OpenStack is not something easy to use. It doesn't provide smoothly user experience, very often something doesn't work as expected. I can say that OpenStack is a framework for creation your own cloud, but it is not ready-to-use cloud platform. A lot of companies like Mirantis, HPE, Red Hat are trying to sell their own "ready-to-use" distributive of OpenStack. And I feel that it is a really big problem, because big players are trying to create it's own proprietary version of openstack and don't place all changes back to the community. Big players wants to get a lot of profit from the project with minimum efforts on improving OpenStack. Just try it and you will see that usability of OpenStack is really bellow any expectations. It has pros and cons, so everyone should decide himself. I am an OpenStack developer. I work in Freezer Team - we are doing Backup as a Service product Freezer. Freezer is a part of OpenStack Big Tent (Officially supported projects). We are using Swift (OpenStack Object Storage) for storing backups. As user of OpenStack, I actively use openstack for testing. OpenStack (as any IaaS) allows me to create VM really fast, without any communication with IT guys, manage my resources. Deploy, install and test my applications. First of all, since I am a passionate Python developer, I love that there is an open source implementation of cloud services in Python. Openstack encourages open source development and contributions including helping new developers getting on board. They have very detailed documentation, good bug tracking with good filtering options. They even provide an IRC channel so that developers and dev ops can ask questions about installiong an openstack service instance. The architecture is still a little rough and the documentation needs work. One issue is how the setup of MySql and RabbitMQ is not properly clustered for maximum performance and stability. Setting up OpenStack without a commercial vendor is a bit rough and requires trying things a few times. The documentation is definitely lacking. Make sure you try it on a demo system and try to install it. Don't assume it will be easy to use. It takes some practice and work to use it. Take a class, attend some meetups, make sure you know what you are getting into. Hosting all internal business applications, databases and services on open source software on our own internal machines. Without paying for VMWare, you can easily. "Infrastructure automation and rapid prototyping"
I think a REST interface for monitoring and controlling my infrastructure. I love software defined networking and the ability to quickly experiment with possible configurations on a large and inter-regional scale. As a developer who's used to working with a separate infrastructure team, self-service is incredibly empowering. It means that I can not only write but deploy and monitor new products and features at any time with zero friction. It makes our team much more agile within the organization. I also use Terraform (https://www.terraform.io/) - a Hashicorp tool for automating a lot of what I do in Openstack and I love how easy it is to create what I want. It may be specific to our implementation, but cross-region load balancing as a service seems to require a cascading solution to join the different regions under a parent Openstack. If we could further abstract and unify our different regions that would be great. I also don't love the UI for Horizon but I mostly use the command line anyway. Openstack's biggest weakness in my mind is its youth - its offerings and features are always playing catch-up with AWS. I will often find a feature I like from AWS is either planned or currently being developed in Openstack. Evaluate its features and offerings relative to AWS - the industry standard. Don't make assumptions that certain services or features will be included or exactly the same as what you may have seen in AWS. We are empowering our development teams and increasing automation. We are also modernizing and unifying our organization's platform for deployments. We've realized increased agility and flexibility as well as resiliency - I believe all due to decreased friction between our development team and external teams that used to manage and operate our infrastructure and applications. We are seeing a softening of the line between developer and operator. "Flexible, Customizable, and Open Source Platform for Cloud"
Initially, OpenStack provided some virtual machines, storage, and very basic networking functions. As growing new requirements and functions, it is currently providing a bunch of new services for all kinds of cloud resources such as computing, storage, networking, policy, etc. Because it is an opensource-based project, evolution and development are very fast and adaptive for new requirements. This is one of the best solution for any IaaS, PaaS, and XaaS systems. OpenStack communities are very huge and all review processes are very instant. It is very easy to contribute our own code to the upstream. In addition, there are many customizable products based on OpenStack and we can easily deploy and test it. I am still wondering if it is stable or not. Its official release is every 6 months. Even though it is a stable release, there are a bunch of bugs which are sometimes very critical to operate. For the commercial version, it should be released for more stable version. One of the major problem is deployment. There are a bunch of solution for running OpenStack such as devstack, RDO, ubuntu, Midokura, Mirantis. In my case, I spent most of my time to install OpenStack instead of developing and operating some functions. It should be improved for the future. OpenStack is a very good solution for providing public and private cloud. Even though there are many services for providing cloud resources, we can customize for our own purpose. I am mostly working on networking and policies for Cloud data center. OpenStack is one of the best testbed and PoC for applying my current solution. From the OpenStack community, I can get many good feedback adn solution for my current problems. In many ways the community is the best feature of OpenStack. With internal and remote cloud infrastructure solutions becoming more necessary for businesses moving to the cloud, the demand for IaaS providers and in-house cloud professionals is growing rapidly. The OpenStack community allows you to stay at the forefront of what is considered the industry standard for cloud compute technology, operations, infrastructure insights, and requirements. With all open source projects, there is a certain level of completion that may or may not exist in certain components. Most components of OpenStack are at a stable enough version to deploy confidently to a large user base, however there are a few (Ironic, for example) which are still heavily under development and not ready for use in the real world. In the same vain of open source projects, OpenStack is not a bugless system. We have encountered bugs with even well developed components. However, the ability to be able to propose patches and fix bugs that we discover in the process is something we actually do enjoy. Give it a try, the community is worth the effort. Scaling cloud in a reliable, technically current fashion. The benefits I have noted by in large are due to the community finding common bugs before we do, and having useful feedback on more edge-case bugs that we find. The community is receptive, the code readable, and 90% of the issues we encounter have a solution in progress or have been at least identified by the community at large. "How much overhead is in OpenStack Deployment"
I like the Neutron Structure, Because of GRE & being deep in tenant based networks and Traffic Isolation. Neutron drivers & SDN Solutions which creates real world of Cloud Computing. I dislike Python Lang, with a lot of overheads! Our keystone service fulfill about 80 GB of Memory! Its OpenSource, Community based, and You can do everything you want with it, But note that it is python based with a lot of bugs which is fixing every day, and there is no enterprise solution as Public, Like those openstacks which RackSpace is using or etc. And Also , there is a lot of cool & enterprise solutions like LandScape of Ubuntu, Or free & coll solutions like JuJu. We are using OpenStack, because a lot of python programmers and ease of use in End Point side, Administrative side, or Provider Side. 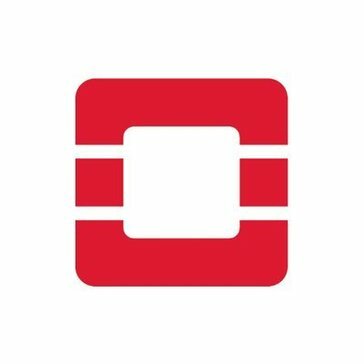 "Good solution for private or on-premise cloud infrastructure"
Openstack has an extensive API for all it's core services like Compute, Storage and Networking. Being open source, and flexibly licensed, it allows customized deployment as well as functionality. Support for a lot of hardware and software backends, due to it's pluggable, modular architecture is another big plus. Scale issues are still unaddressed for years. Doesn't scale well for large deployments, let aside public cloud grade. Lack of extensive interoperability with AWS API. Make sure to choose the right strategy to deploy OpenStack, it can be a pain if you're looking at anywhere greater than 50-100 servers. Deploying continuously from trunk needs a robust CI/CD ecosystem. Deploy OpenStack at a massive scale, providing public cloud / AWS like scale and services. Being a pluggable architecture, we're able to offset some inherent scale issues by wisely selecting scalable backends. Community support is excellent. Modular design, highly configurable and customisable, powerful system. ONLY consider Openstack if you have a strong technical team in the System Admin domain. Openstack has a steep learning curve and is not for the faint hearted. Primary problem that Openstack solves is Cloud orchestration and automation. We have been able to significantly reduce service provisioning timelines for our customers by implementing openstack. Moreover, as a single control plane for your Data center infrastructure provides ease of management. Overall, Openstack is a powerful tool for any enterprise that has a large and diverse datacenter environment. "Consultant experimenting with OpenStack to foster internal innovation." I love the flexibility offered by OpenStack with its open API and project governance model. Also the fact that this product is based on open source software, which is very attractive to companies that develop its own integration and customization. The complexity to put everything together and maintain the environment in the long term, specially when version upgrade is required. The team need to be multidisciplinary once the product uses many different technologies and components. You definitely need to have a good internal team in order to implement, operate and maintain the cloud environment. The challenges are across all areas, including computing, networking and storage. "Very interesting, but could be better"
Setup is very painful, and if you don't need all the features it's hard to trim down the documentation to find your way through it based on your needs. Be sure you understand the cost-benefit tradeoffs, as it's not that easy to setup and it requires a lot of time for maintenance. Consider if you really need all the flexibility it provides. Take into account some time to figure out which subset of features you need. Being able to provide on-demand instances of our SaaS product to our customers. "Impressive but still need more improvement"
Its vision to integrate many kinds of services is great. And being a open source project against Amazon AWS, is the main reason that I love it. Also, I'm a Python enthusiast! The project has tons of bugs that are waited to be resolved. Please be familiar with command line tools. Currently I'm dealing with a project which is called Hardware as a Service (HaaS). First step is to survey similar open source projects or commercial products. So my first try is OpenStack Ironic. It's pretty nice, the goal of Ironic is clear. But IMHO, in reality it isn't practical to deploy in production environment. "very powerful open source project"
We are using OpenStack to build a private cloud for our developers to build web applications. So far OpenStack works mostly great and saved us a lot of time! Specially, OpenStack provided a set of powerful CLI tools for administration, and a set of API for us to build an easy-to-use web interface to suit our need, and it runs quite stable. OpenStack still has some issues with large cluster (more than 2000 servers in our case), and we are still struggling to solve the issue. Very easy to use and administrate Open Source cloud infrastructure. Recommended for private cloud in enterprise, however there are still some pitfalls. Built a private cloud for internal development usage. Benefits: saved us a lot of time and budgets from developing the cloud backend from stratch. "Open stack best cloud open source "
Open stack best cloud open source, simplest cheap and powerful. Openstack provide transfer for your on premise infrastructure to cloud very easily. "Good, has lots of potential"
OSS is always a huge bonus. The api was great. I liked the ability to build a cloud abstraction over existing hardware. The community was great. Whenever we had problems, we had lots of resources to solve our problems. Something AWS still struggles with (documentation especially) was solved by the community if not by OpenStack documentation directly. We were using the "E" release. It worked fine, but had many bugs that I'm sure are fixed now. But it would constantly lose track of VMs that were actually running, etc. We were looking to get our of the vendor lock-in AWS was forcing us into. We needed something to allow us to test environments. So starting VMs for short amount of time, then tearing them down. Rinse. Repeat. "Using openstack to build public cloud"
I like openstack framework and its ecosystem. There a lot of drivers in community, and user can also implement a new one for different vendor. I come from a public cloud computing company in China. We implement different drivers for openstack to let it can manage our own network, virtualization and storage environment. It will be much better if openstack can support monitoring service, or provide some advice about how to monitor openstack service. We now still spend a lot of time in openstack maintenance. OpenStack managed almost ten thousands nodes for us. And provide public cloud services to our customers. Using openstack, we reduced a lot developing work and improved the cloud service stability. Easy horizontal scaling and fast deployment vs other solutions available. Also feels more polished when it comes to bigger scale. Once I got started I started appreciating Keystone really soon. It's really a valuable tool. I also integrated Horizon and Heat to go along our existing development 'platform'. A bit time consuming to integrate into existing development cycle. Training is needed to get started as soon as possible, but it still carries a lot from other services like it. What I would like the most is the ability to better monitor usage of individual VM's. Also better control of number of instances per process would help a lot, but it's not something that is a huge roadblock. We are not at the point where I can say that OpenStack solved our problems, but it sure is going to lead to this point once we complete the final 'transformation;. Currently we are using a mix of technologies that provide a similar service but with a bigger overhead and with extensive administration per machine/hypervisor. "Pretty good, a little too generic." It's open source, and built with python. It's the best open-source alternative to AWS. It seems like it's a little _too_ generic and framework based. You can configure it however you want within the framework which can be a little overwhelming. Sometimes the framework can be a bit limiting. Be sure you have a large team to support it. The goal is to manage cloud computers. It's the best open-source alternative to AWS. "Best project code ever read (nova)." Nova's project structure and some of the architectural choices performed by maintainers. The ability to keep the pieces of the biggest open-source project in the world. Code review system. I still have an open bug. I didn't manage to fix it in a reasonable time because of the CI systems. I used it for research purposes. I implemented a consolidator in Nova to perform virtual machine consolidation. "Awesome product to understand hybrid cloud structure"
Documentation about all the complex terms about cloud explained in details. Getting the whole cluster view setup is still bit difficult. Please review the requirements for servers and try to understand the specification for each node or server which you want to have it running in openstack and then try to implement the same in openstack with dev setup and install your application on top it to test the corner cases. And finally start moving it to full openstack deployment. Its IOT application which need distributed server to get all the sensor connected to cloud all the time and collect data. OpenStack is very good platform to deploy SaaS infrastructure. I can use it to start developper workspace every morning and is scalable for new hire ! Have the ability to share server computing between many developpers to create/start dev workspace every morning. "The most complete open source cloud solution"
OpenStack sets a standard for open source cloud, and is the most accepted and supported solution for those who don't want to be subject to vendor lock in, or pay licence fees. It requires a reasonably high level of expertise to setup and operate. I'm using OpenStack to provide cost efficient scalable private cloud deployments. "Overall, good, a lot of great work has been done on this platform"
The community really responds to new feature requests and the platform itself has taken a huge leap forward. If you are familiar with Linux and virtualization technologies OpenStack will be a breeze. It can be complicated and involve to many modules. Knowing OpenStack is open sourced some features work better than others. We are solving open sourced virtualization and private cloud infrastructures. "Best Open Source Cloud Operating System"
Follow documentation carefully. Everything is documented. "A great alternative to the public cloud or more expensive on-prem solutions"
Once it's running and configured correctly it's pretty much bullet proof. It can be difficult to setup without using a Linux distro that already has it built in. It is a good solution that may meet your needs. Reducing server footprint without migrating to the public cloud. Openstack provides a mature solution for private cloud service. It has many learning materials(blogs, docs, books ... ). The most important is it has an active community. So many developers from the world are making it better and better. It's really hard to install and some features is still not stable. I'm in a internet company, and I have a lot of data to analyze. we are trying to use openstack to analyze our user data and provide some useful data to the users. "Open Source, and Open Stack, for the win." OpenStack's open source approach gives it a unique advantage over competing cloud management infrastructures. The approach allows for a good amount of "pick and choose" style cloud architecture/design, while minimizing hidden gotchas. OpenStack's open source approach means that it can take quite some time for needed improvements to make their way into production use. I work for an OpenStack software company. We help our customer base with the deployment and ongoing operation of OpenStack clouds. Open source and quick learning curve. Massive community support. Massive amount of dependencies and heavy installation process. This fulfills the need and then some. It is very robust to create a private cloud for salable system and it works perfect with juju orchestration services. nothing every thing is perfect, however what I really think they must have , may be they will have in near future is enterprise monitoring and management feature as total solution. I tried that for re design whole back-end services on distributed and scalable system. "It is OK, not great"
I can look up answers related to what i'm recruiting for to get a better grasp of technology. The system is easy to use and navigate. The answers are usually on point. The answers in the system are usually not up to date. Technology understanding of development. It's a shortcut in recruiting. "Very useful for starting up cloud instances to test and replicate environments/ unix boxes"
We deployed on our own server. Very easy to monitor and apply security and limit pool of users. Nothing. I prefer it to a lot of other services. We were trying to keep down costs, as well as be able to make deployments and testing consistent and easier to automate. I think, its so hard to install, some features isn't stable for example Horizon's function isn't complete. Open Sourced, collaborative movement with great knowledge sharing amongst peers. The community helps each other a lot. Complicated setup and steep learning curve. Nova is best component for me. * We monitor all OpenStack reviews to prevent fraudulent reviews and keep review quality high. We do not post reviews by company employees or direct competitors. Validated reviews require the user to submit a screenshot of the product containing their user ID, in order to verify a user is an actual user of the product. Hi there! Are you looking to implement a solution like OpenStack?